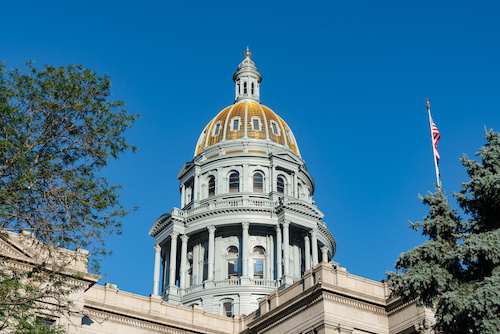 The Colorado Apartment Association today released the results of a poll commissioned in late March that indicates strong public opposition to the enactment of rent control policies as a solution for addressing housing affordability in Colorado. The results come on the heels of a rent control bill, SB19-225, which the legislature filed on April 1. The poll, conducted by Baselice and Associates, found that fewer than one in five (19%) of those surveyed selected rent control as their first choice for addressing housing affordability in Colorado. Ahead of rent control, respondents’ first choice for addressing housing affordability were public-private partnerships between state or local governments and the private housing sector to create more housing (28.6%) and building more housing and reducing barriers to increase supply (28.2%). An additional 13% of Coloradans supported increasing direct assistance to renters over rent control as their first choice. Decades of research by leading universities and think tanks on rent control policies throughout the United States have determined that rent control reduces rental housing supply, drives up rents overall, leads to blighted properties and neighborhoods, and reduces renter economic mobility. Rent control is widely-acknowledged by economists as a policy that simply does not work. Paul Krugman, a Nobel Prize-winning economist and author of “The Conscience of a Liberal,” listed sky-high rents on uncontrolled apartments, the absence of new apartment construction, bitter relations between tenants and landlords, and constantly proliferating regulations as predictable outcomes of rent control policies. Current research on the effect of rent control agrees. A study released on March 4, 2019 at Stanford University found rent control policies in San Francisco reduced rental housing supply by 15% as a result of rental properties being sold to owner-occupants or redeveloped for other uses. “Renters overall don’t even necessarily benefit from rent control,” Rebecca Diamond, an associate professor of economics at Stanford Graduate School of Business and one of the authors of the report, stated in a recent interview on National Public Radio. Diamond recommends other policies for promoting affordable housing. The construction of new rental housing units, in addition to creating high-paying jobs and increasing tax revenue in Colorado, has helped ease the affordable housing crisis. The survey questioned 500 Coloradans, of whom 38 percent identified as unaffiliated/other, 31 percent as Democrat, and 31 percent as Republican. The margin of error to the results was +/- 4.4 percent. The Colorado Apartment Association (CAA) is a non-profit trade association representing owners, developers, management companies, and vendors of the multifamily rental housing industry. CAA is comprised of four local affiliates from across the state. The association represents over 3,100 members who own and manage over 282,000 units, which totals more than $60 billion in assets. Together with the local affiliates, the National Multi Housing Council, and the National Apartment Association (NAA), CAA offers a strong network of information, education and representation for the multifamily housing industry.